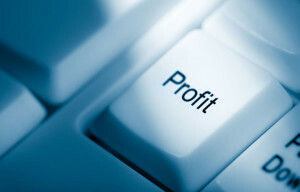 The following list of questions will help you determine the approximate amount of time, resources and money your company spends carrying out the tasks that our software automates – the answers you come up with will help guide you in your understanding of the dollar figures that are relevant to your company’s decision making when considering our solutions and value. Approximately how much time is spent entering each job transaction? How many job transactions are entered in per day? How many employees perform job transactions? How many days are job transactions being performed? What is the average hourly salary of the people performing the job transactions? How many hours are spent by Payroll/HR staff handling labor related paper work (scheduling/tracking OT, breaks, time off requests, etc)? What is the average salary for HR/Payroll staff? How much time is spent by each supervisor adjusting labor ticket transactions? How many supervisors adjust labor ticket transactions? How many labor ticket adjustments are done per day? What is the average supervisor hourly salary? What is the total value your company spends developing or handling “workarounds”? How much money does your company lose every time there is an ERP related work stoppage? What is the cost associated with the errors inherent in employees calculating their time manually? What other more valuable HR functions could your HR staff could be performing instead of handling administrate work? If you do not have a complete HR/Payroll how do you cope with the amount of work it takes you to perform all the tasks associated with HR/Payroll? – What other more beneficial tasks could you be performing?